Memory steel has been around in use for quiet some time; mostly in dental fixtures, spectacle frames and other applications that require higher than normal flexibility to stress and strain. Memory steel is a distinctly different alloy of steel and is marked by its super elastic property. For brevity, memory steel can be described as a class of steel that will return back to its original shape when the forces that cause deformation are removed. This uniqueness of the metal can help the building construction industry to come up with radically different designs where superior building strength is essential. Industrial steel buildings are fast replacing cement-concrete buildings for various reasons, principally because they offer superior building strength along with construction time saving and overall lower project cost. 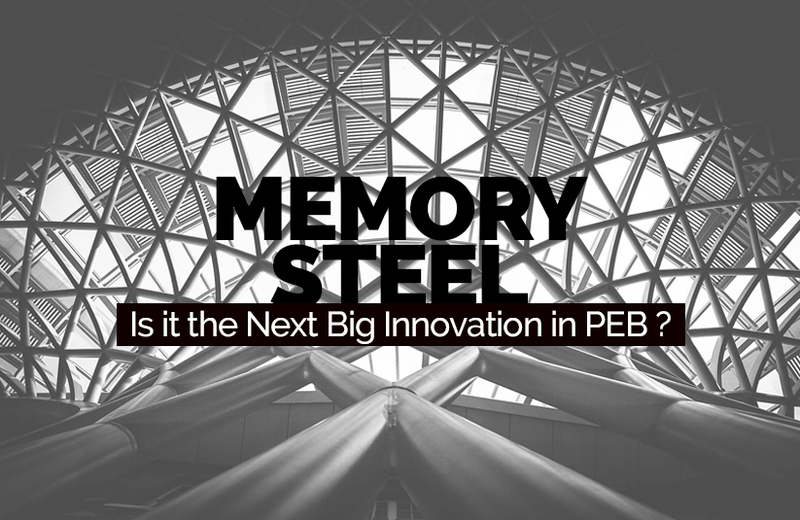 Steel buildings have already become the norm for large warehouses, factories, and stadium construction; but more interestingly engineers are exploring the use of memory steel in pre engineered buildings. However, the kind of memory steel that we are speaking about for the construction industry is going to be radically different from the ones that are used in smaller lots for various other purposes. Though much progress has been reported about the use of memory steel in the construction industry, it is still a few years away before the technology can be transferred from laboratories to the field. One of the major areas where futuristic memory steels can be used is the bridge building sector. It has all the potentially to help architects to come up with designs that can withstand strong earthquakes; as much as 7.0 even higher on the Richter Magnitude Scale. Once perfected, memory steel has all the potential to even replace office buildings homes in earthquake prone zones of the earth. Some even believe that it is possible to construct steel structures (bridges for example) that can go without maintenance or repairs for a long time. Everything will depend upon how fast researchers are able to come up with smart steel alloys that are inexpensive and yet strong enough to withstand extreme temperatures and forces. Though all-memory-steel buildings are not known to exist currently, the construction industry is already using it along with concrete structures for higher building strength; primarily as reinforcements. There many good examples of engineers using memory steel on older building structures for making it stronger. Researchers are confident that in a few years, pre-fabricated concrete structures can be made using memory steel to increase the load-bearing capacity of buildings. It is widely believed that currently used pre-stressed concrete structure technology will be mostly replaced with memory steel thereby cutting down on production time. It is not just time that will be saved; thanks to memory steel, designers will be able to give shape to concrete structures that are not even thinkable today. Here are few areas where memory steel use has big potentials. Renovation of old structures. This has the potential to extend the life of existing buildings and the need to demolish and erect a new structure in its place. The bridge construction industry will greatly benefit, say experts. Structures with special geometry requirements. The pre-stressed concrete technology has many restrictions that don’t allow the making of structures with innovative shapes. Memory steel can help here too as it does not follow the same restrictions as pre-stressed technology imposes. In the pre-fabricated steel structure manufacture. This is the big thing that is bound to bring drastic changes worldwide. A few quite are already offering factory-made memory steel sections, though using it on a massive scale may take a few years to fructify. Construction companies in India are reputed to follow the highest standards and use the latest technologies. A few Indian companies are already exploring the possibilities of using memory steel in their products; especially the steel building sector. Overall, the construction industry like its counterparts around the world is all set to using memory steel extensively in their products.